See the past Wild Women show on YouTube. 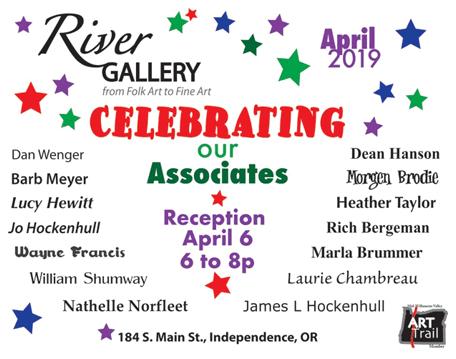 Visit us at River Gallery to celebrate our wonderful Associate Artists. The exhibit runs from April 2nd - April 30th, 2019! Reception on April 6th, 2019 from 6:00pm-8:00pm.